The View from Israel. : In South Africa, someone needs to get an education. In South Africa, someone needs to get an education. This undiplomatic statement was made after South Africa pulled its ambassador out of Israel following the Hamas promoted violence. Having met the ambassador, I can attest that Amidror is right. I have never met such an unpleasant and provocative ambassador as Sisa Mgombane who came to Israel with a heinous anti-Israel stance and began to off load his “Israel is a racist apartheid state’ venom on the two shocked guests I brought to him on a courtesy visit. As we left the meeting my guests, two black South African pastors, embarrassingly apologized to me for their ambassador. They happened to view Israel completely differently. The problem in South Africa is that the ANC has veered desperately away from the path of Nelson Mandela. Now they have the reins of power, they wield them with a radical ideology. Everything is black or white, and what they perceive as white has no legitimacy. Currently in South Africa, Afrikaans farmers are being threatened, tortured, and brutally murdered for being white. They are either driven from their farms and out of the country, or they live in very real fear. The recent murder of an elderly white couple has triggered a furious debate about the growing crimes against white land owners. The woman was strangled with a wire cord, and the intruders slit her husband’s throat. There were six such murders within 3 days of this incident. The perpetrators of many of these brutal murders go unpunished. South Africa voted to seize the land of white farmers without paying them compensation. This was a step that led Zimbabwe to economic ruin under Mugabe. The ANC Government seems keen for South Africa to follow in Zimbabwe’s failed path. And they pick on Israel for their scorn. They really have strayed too far from the path of Mandela. In 2015, Leila Khaled was invited to South Africa by BDS to help them in their fundraising efforts. When you need a Palestinian terrorist and convicted plane hijacker to raise money you know you have a troublesome organization, Yet this did not stop the ANC South African Government, that walks in lockstep with BDS, to officially welcome Khaled as a hero. Amidror is right. There is little economic or political will in South Africa to reach out to Israel, an Israel that extended its hand to help them with their drought and lack of clean water, a hand that was rejected. An Israel that can improve their quality of life with our technology and science. Apparently, they don’t want to improve their people’s future with Israel’s help and innovation. They won’t change until someone tells them that their simple notion that the world turns on black is good and white is bad, and black is right and white is wrong. This sadly misplaced nonsense positions Palestinian Arabs as black and therefore right, and Israel as white and therefore always in the wrong. South Africa used to call itself the Rainbow Nation. Not anymore. If the South African government, a government that is persecuting white farmers, want to see a Rainbow Nation north of Cape Town it has to search up the immense dark continent of Africa, across the vast north African zone of conflict and poverty, and through the Muslim Middle East until it reaches the only spot, a tiny spot, that can truly be called the Rainbow Nation. The State of Israel. Israel has welcomed and absorbed unwanted Jews of all color and culture from the Muslim world, from Asia, South America, Russia, even black Jews from war torn Ethiopia. All are fully integrated Israeli citizens. 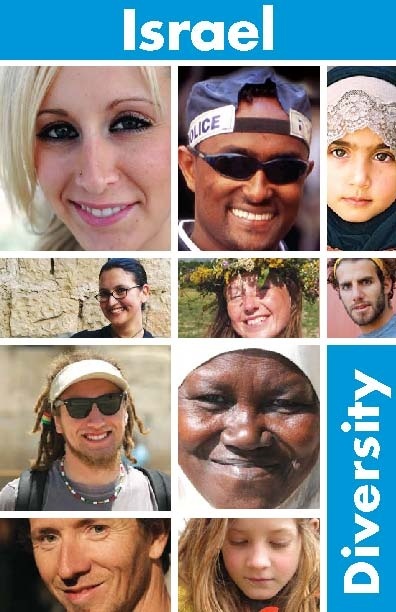 Among Israeli citizens are Christians, Muslims, Druze, Bedouin, Bahai, Aramean, people of all color and faith. Israel is the only country in the Middle East where the Christian population has grown. Israel is not an apartheid state. It is a diverse Rainbow Nation. Compare that to the Muslim states in the Middle East. Show me one without a dwindling Christianity. Show me one with a working, thriving Jewish community, if they have any Jews at all? Yet South Africa calls Israel an apartheid state! So I totally reject the myopic prattle of BDS-supporting ANC South Africa and their nonsensical notion of Israel as an apartheid state. So while the South African government practices a reverse apartheid policy against their own minority white farmers, if the ANC really want to see where genuine apartheid is being practiced against the Palestinian Arabs they so passionate support, let them look no further than Jordan. In Jordan, over a million Arabs, who call themselves Palestinian, still live in refugee camps after 70 years into their fifth generation, stateless, deprived of higher education and government jobs. This is real apartheid but ANC has nothing to say about that. No Jordan Apartheid Week on South African campuses. Hypocrites! Or the biggest shock of all. Palestinians living in refugee camps under the full civil and security administration of the Palestinian Authority! BDS-loving ANC are completely silent about this apartheid abuse of Palestinians by Palestinians. Instead, they invent a non-existent apartheid screed against the Jewish state. There is a psychological asymmetry between South Africa and Turkey. Under Erdogan’s rule, Turkey suppresses their own people, are killing the Kurds, support Hamas while condemning Israel for Hamas committed crimes, as the ANC suppresses their white farmers, support Hamas, and condemn Israel for anything and everything. This is the similarity between ANC and a Turkey guilty of the genocide against Armenian Christians. Black Christian ANC members are so color sensitive in persuading us that Arabs are black like them, and therefore in need of their support and protection. They offer them a special dispensation in the killing of "whites" (in our case, Israelis) in an effort to drive them off their land (in our case, the Land of Israel). But, let them consider this. The ANC South African government shamefully turns a blind eye to the butchery of white South African farmers at home while also turning the other blind eye to the slaughter and slavery of fellow Christian Africans at the hands of Arab Islamic terrorists, some, like Erdogan, of the Muslim Brotherhood persuasion. In Africa, Arab Muslims today still force black African Christians into slavery as they have been doing for centuries. Yet the black South African Christian ANC ignores the plight of their fellow African Christians and compliment Arab Palestinians by falsely calling them black. Clearly this is an uneducated nonsense used only to portray Israel as being white as they heap more false charges against the Jewish state in support of the terror tactics of Hamas and Islamic Jihad, just like Turkey. Hamas, Islamic Jihad, BDS, Leila Khaled, Fatah. This is the company that the South African government prefers to keep. Somebody needs to get an education. Tell the South African government it's not all black and white, as they mistakenly make it out to be. Barry Shaw is the author of ‘Fighting Hamas, BDS, and Anti-Semitism’ and ‘BDS for IDIOTS.’ He is also the Senior Associate for Public Diplomacy at the Israel Institute for Strategic Studies. Your future will be run by Israeli innovation. Meet Brett McGurk. The ISIS Exterminator. Israel and Bike Racing. A New Love Affair.